Valentines Day is fast approaching and even if your single its a night to spend with friends and loved ones. We tend to stay home and eat nice food, watching a film, I would say its a nice romantic comedy but its usually a Horror or Sci-Fi for us! I have put together a few outfits form my favourite brands which offer next day delivery so there is still time to get something special for the weekend. These dresses are perfect for a romantic dinner or a night out with the girls. This dress is stunning, I love the off the shoulder and fitted shape it is beautiful! 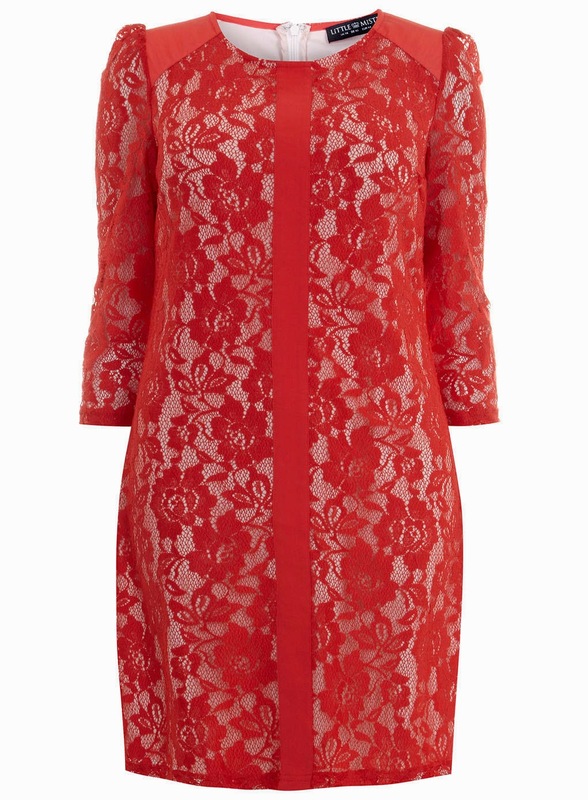 Valentines and red always go together and this gorgeous lace dress is a gorgeous classic that can be worn again and again. I adore this dress! It comes in both Black and Red and the cut out heart detail at the back is seriously cute! If you want to step away from the usual and make a statement then brights could be for you. They are everywhere at the moment! This jacket is such a fantastic way to inject some brights into your wardrobe, It would be fantastic for a meal out or a night at the cinema. This is one outfit that even if I don't go out on the night I will still be buying. This top is another way to bring in the brights it will work well with trousers, jeans and skirts. and could be easily dressed up or down. This dress is simply stunning, the gorgeous bright orange with the contrast of the black and the flowers is amazing, slip on a nice jacket and your set for a fabulous night out. If you like something a little more romantic this orange dress is stunning the gorgeous lace detailing and the pleated skirt are so pretty. Sometimes we don't want to be classic or romantic but instead want a bit of an edge to our look so the next outfits are for you. I am in love with this skirt and top combination. I may have to invest in the skirt as soon as possible as I would enjoy wearing the hell out of it! 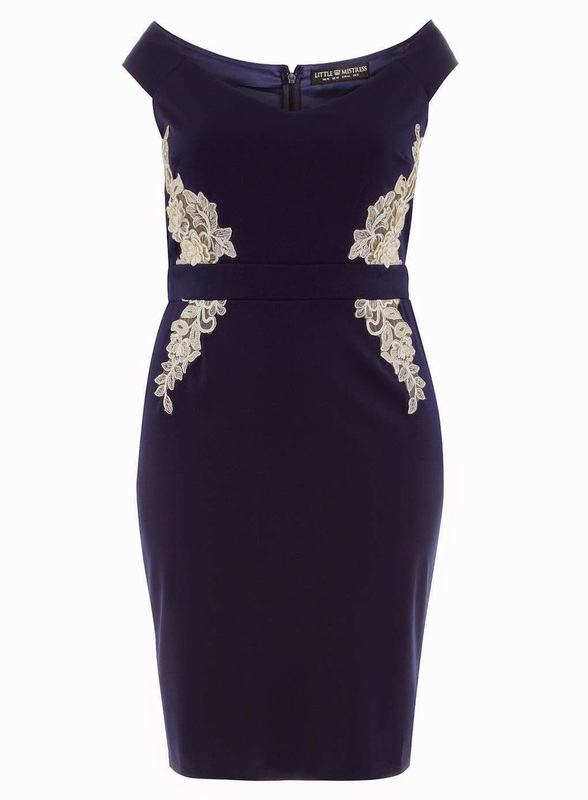 I love this dress, I am not sure I could pull it off! someone seriously needs to wear this though so I can ogle them and admire how amazing they look! These are just a few of my suggestions, but plus fashion really does have a lot to offer, take a look around and let me know if you get anything fabulous. I am a little bit obsessed with coats! I own a ridiculous amount, to be honest and every year I want a new one. I have a smart going out coat and a lovely warm winter coat but I can never find a decent outdoors coat that is stylish, warm and tough. 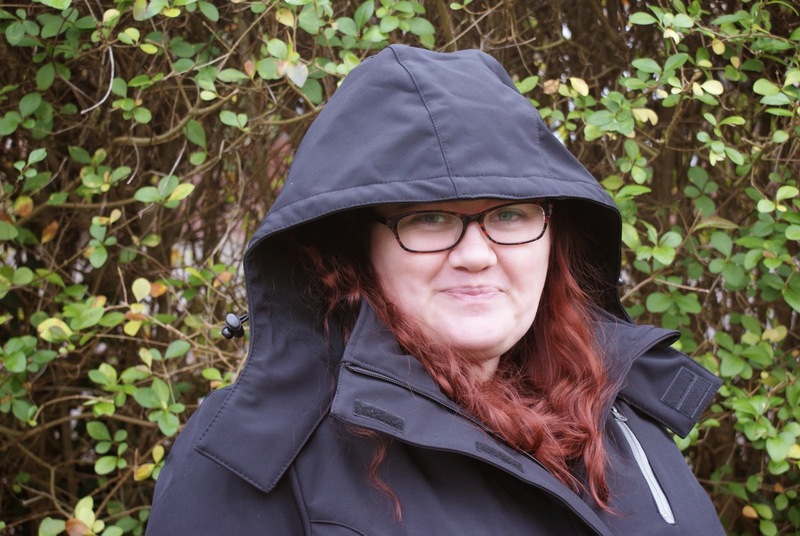 So when I was contacted by Curvissa recently about doing a Coat Review, it was with my outdoor needs in mind that I began my search. Parkers are very in fashion right now but if I am honest they either swamp me or are nowhere near warm enough so although a couple caught my eye it was this lovely Soft Shell Coat that I went for in the end. I usually wear a 22 but my previous experience of Curvissa has taught me to size up so I did with this to a 24 to make sure it worked over my bust and I am glad I did as it is only just right. 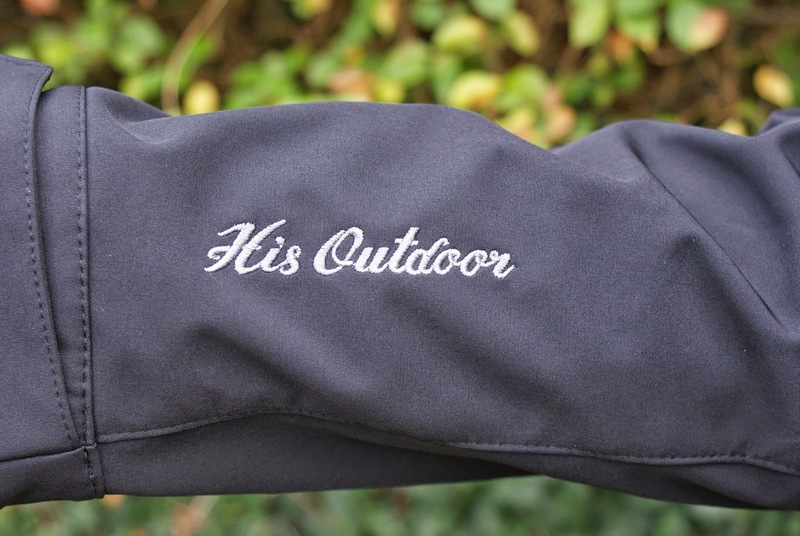 It is made of a lovely soft material that feels like it will be shower prof although it does not state this in its description, it is windproof and breathable which is ideal for walking my dogs along the river next to the open fields as it does get pretty blustery around here. The coat is lined with a gorgeous thin fleece which is soft to touch and very warm. The length of the coat is perfect for me as it covers my bum, please remember though I am only 5'2 and one anyone taller it is likely to sit just below your bum the picture of it on the model is a good indicator of its length. The tie waist is a nice feature as it gives shape to the coat which is often missing from outdoor coat. I assume this is the brand although it isn't called this on curvissa. The hood is big and feel like it might stay put in the wind as it hooks over quite nicely. 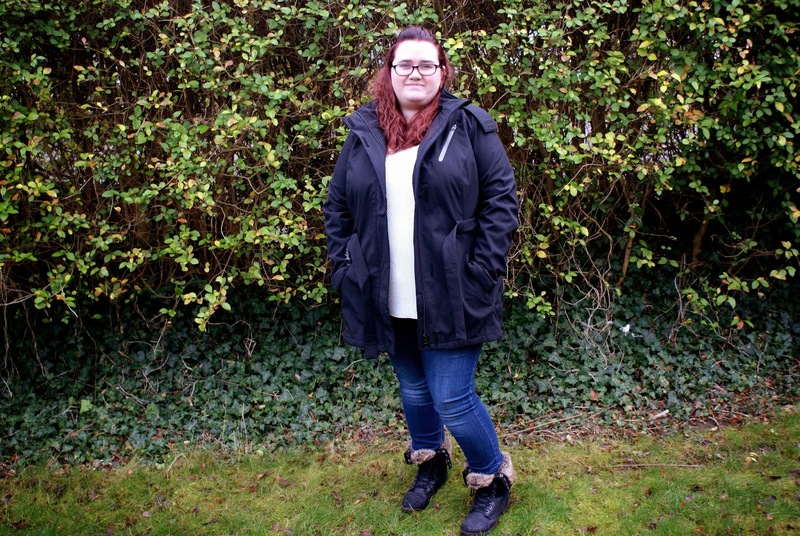 All in all I am very happy with this coat, its sizing could be a little more generous but otherwise it is lovely and I would highly recommend it to anyone look for a good outdoors coat. it feels like it can cope well with my three biggest dogs jumping up at me with muddy paws when we play and me falling on my bum in the mud which has happened a few times. 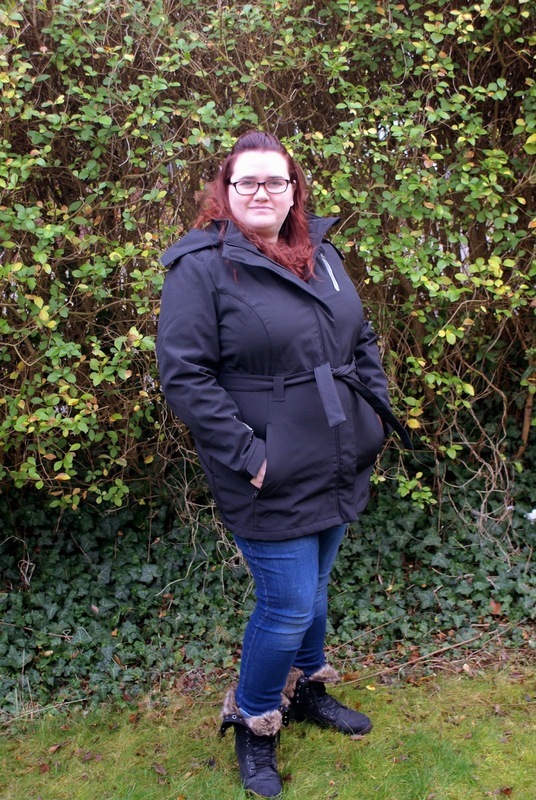 A few other fabulous ladies are also working with Curvissa to review coats and they all look far more glamorous than me, so head on over to their pages and take a look. The links are below. 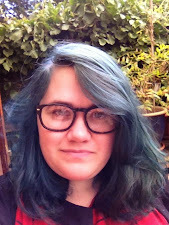 A 30 something lover of reading and watching horror, knitting and up cycling furniture. A look at my strange little world!
! The Totality - Film, Men's Fashion, Lifestyle and Culture Blog !